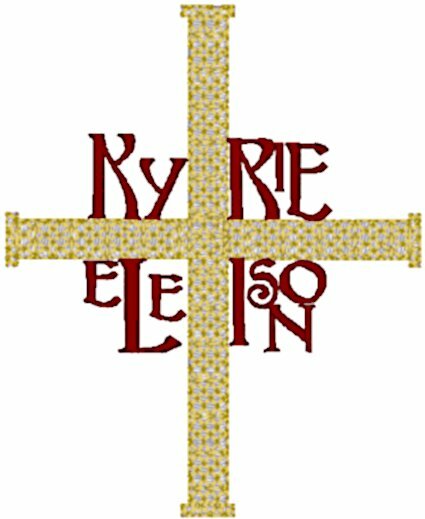 Kyrie Eleison (Greek for "Lord have mercy"). This ancient design is of European origin. The sewn out size is 4.07" W x 5.01" H with 11,054 stitches.